There is pressure on young women and men to look a certain way. Some people use food as a way to control their lives by restricting the amount they eat. This can become a very dangerous health risk. Your body needs healthy food to grow correctly. Anorexia is when a person (most often a young woman) deliberately deprives themselves of food due to an intense fear of gaining weight. The result is extreme weight loss. Even when they are very thin, anorexics convince themselves that they are fat. Bulimia involves a routine of eating too much (bingeing) and then immediately purging (self-induced vomiting or using laxatives). Both of these eating disorders are a reaction to a whole pile of feelings - often stress, anxiety, unhappiness and a feeling that life is out of control. But they are not harmless practices. They are life-threatening disorders that can lead to depression, anxiety, heart and kidney damage, injury to the digestive system and severe dental damage. 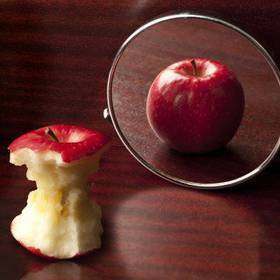 The most common element surrounding all eating disorders is low self-esteem. Often eating disorders are linked to deeper issues, such as abuse or depression. Eating disorders are not only about food - they are often a way to feel in control of your life. If you, or a friend, have an eating disorder you need to see it as a serious health risk. Speak to an adult, visit your clinic or look for a help group in your area. Feeling sad all the time?